Souvenirs from Madrid There are 102 products. Typical gifts from Madrid and souvenirs from your visit to the capital of Spain. 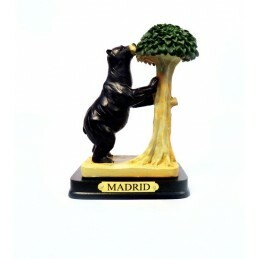 At ZiNGS you will find souvenirs that are different and original so that you may have a nice reminder of your visit to Madrid and the surrounding area. At our souvenir store you will find gifts for all tastes and prices chosen to take up little space in your luggage on your return trip. 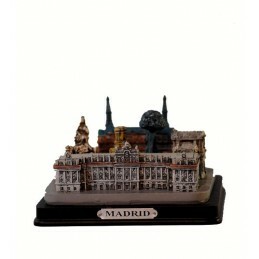 Magnets of different sizes in resin with the monuments of Madrid. 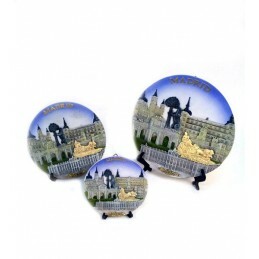 Various magnets with the major sights of the Spanish capital. 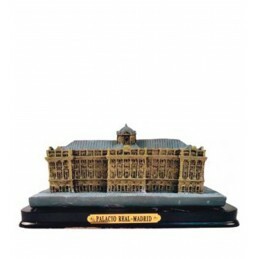 Choose the model you like best: Arena Las Ventas, Bernabeu Stadium, Royal Palace, etc.Measured 6,5 cm in aprox. depends on the model. Madrid metal teaspoons: the Puerta de Alcalá, the Cibeles fountain, the bear and madroño. At the bottom, the bear and the madroño in all the models. 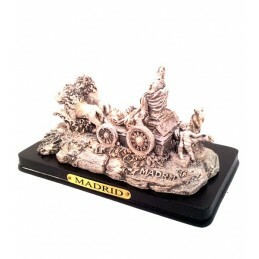 Ideal souvenirs of Madrid Collection. Located in the Plaza de Canovas del Castillo next to the Prado Museum in Madrid (Spain). The original monument was designed by Ventura Rodríguez in 1782. 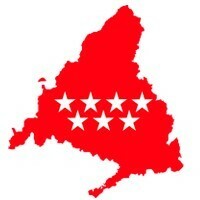 In it are celebrated the titles of Club Atlético de Madrid.Neptune was Saturn's eldest son, was the great father of gods and brother of Jupiter and governs all waters and seas.